Tulips are a popular choice for winter blooming but are difficult to force. One of the best ways to bring some color to the gray winter months is by forcing spring bulbs to bloom indoors. For most types of spring bulbs, forcing is a process that begins in the fall, where the bulbs spend an “artificial winter” in your refrigerator. By timing this chilling period correctly, you can have blooms just in time for your favorite winter holiday. Here’s what you need to know to force your own potted spring bulbs to bloom indoors. Most spring bulbs must be chilled before they will bloom. 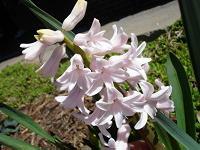 Outdoors, this naturally happens during the winter, and the bulbs sprout as the soil gradually warms up in spring. To force bulbs to bloom early, they must be potted in the fall, artificially chilled for a prescribed period of time, then gradually brought out into the warmth. For forced winter blooming, start with new bulbs. Which Bulbs Can Be Forced to Bloom? Many types of spring bulbs can be forced to bloom. Tulips are probably the most popular, but they’re also the most difficult to get to bloom. Check with your local garden center, or shop online specifically for bulb varieties that respond well to forcing. Step 1: Choose Bulbs: Choose plump, new bulbs for forced blooming. Forcing is very stressful, and most bulbs can’t do it more than once. Step 2: Check Calendar: If you want blossoms by a certain time, you’ll need to do some careful math. Starting with your desired bloom date, count backward the required chilling time listed above, then add 3-4 more weeks for the bulbs to sprout and bloom. For example, to get red tulips by Valentine’s Day, you’ll need to start your bulbs chilling by the last week of September (16 weeks to chill, plus 3-4 weeks to grow). Step 3: Plant Bulbs: Bulbs can be planted in any pot with drainage holes and lightweight potting soil. Smaller, shallow pots will be easier to manage, and the bulbs don’t need much depth. Ignore the outdoor planting directions. Instead, tightly crowd the bulbs in the pot, just deep enough that the top of the bulb is barely covered by soil. Step 4: Water Bulbs: Water the bulbs well. Even though you won’t see any signs of activity, the bulbs will be growing roots over the coming weeks. Continue checking them throughout the chilling period to keep the soil moist. Step 5: Chill Out: Place the pots in the refrigerator, or in a shed or basement with a consistent nonfreezing temperature of around 40° F. Other than occasional watering, leave the bulbs undisturbed for the entire chilling period. Step 6: Bring Out Slowly: When the chilling time is up, water the pots well, then first bring them out into a cool room (low 60s F) for up to a week, to allow the bulbs to warm up slowly. Once the bulbs have sprouted, you can move them out into brighter light to enjoy as they grow and bloom. 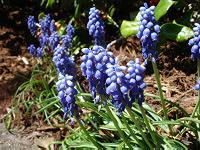 Hot sunshine can overwhelm the bulbs; ideally, keep them around 68° F with bright indirect light. Keep the bulbs moist, but don’t overwater. Step 7: Enjoy Blooms: Remove spent blossoms and enjoy the blooms while they last. After they’ve finished blooming, you can either discard the bulbs, or feed them very lightly and continue occasional watering, then plant them outdoors in the spring.